I read this article and found it very interesting, thought it might be something for you. The article is called Top things to do and see in Thailand and is located at https://www.ebookers.com/travel-blog/ebookers/top-things-to-do-in-thailand/. A Thailand holiday promises an array of sensory and exhilarating experiences that can be shared and enjoyed long after the adventure is over. Offering something for everyone, travellers can enjoy ancient ruins, pristine beaches, world-class trekking and the unbeatable hospitality Thailand is so famed for. You can take your pick from a number of impressive rooftop bars that reveal the sprawling metropolis, but there is one that stands tall above the rest. 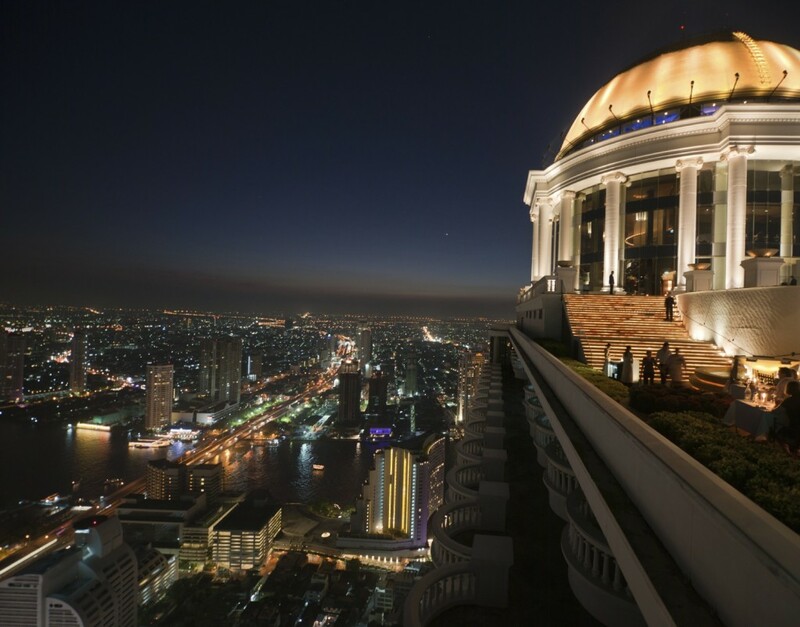 Indeed, no trip to “Krung Thep” is complete without a trip to the magnificent Lebua Sky Bar – you might recall it from the Hangover II? At over 820 feet high, the Sky Bar is one of the highest rooftop bars in the world. Promising an extensive menu of seasonal cocktails, carefully crafted by the resident mixologists, supping a cold beer or zesty cocktail while the sun goes down over the city is the perfect beginning or close to any Thailand trip. A definite highlight of any visit to Thailand is indulging in some spa therapies. Thailand has a long history of traditional massage, a practice with origins in Chinese and Indian medicine. Largely recognised and used as a means to heal, massage is omnipresent within Thai culture. The beauty of this is that it is readily available across the country, whether this be on the beach, road side, in a shopping centre or an upscale resort. Catering to all budgets, visitors can indulge in daily massages leaving them feeling relaxed, rejuvenated and ready for anything! In contrast to much of the west, you will find in Thailand that the cheaper the food the better. 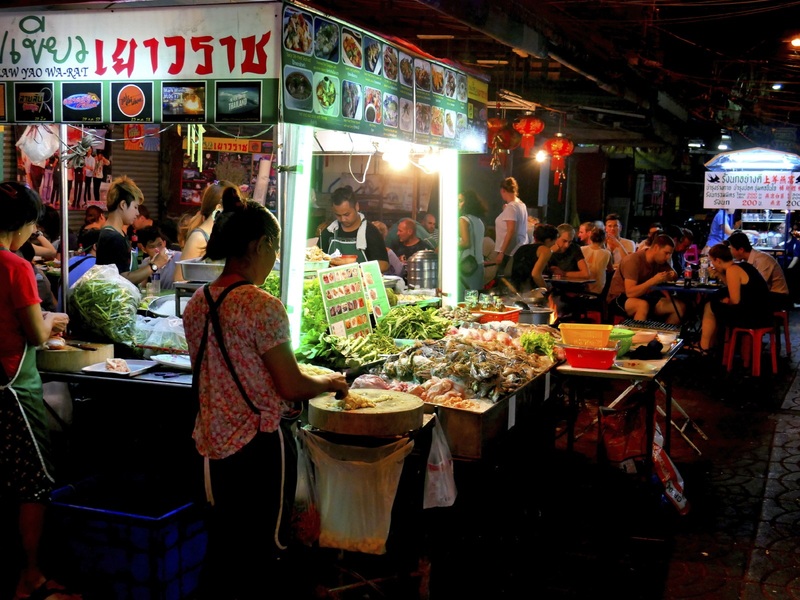 Eating out on the street is a culture adopted across Thai society and promises an array of flavours and textures from slurpy noodles to succulent grilled chicken. Throughput the day and into the early hours people will sit out and eat on the street while enjoying a beer and catching up with friends. When in Bangkok this is a must have experience and a great way to get a glimpse into how the locals do it. 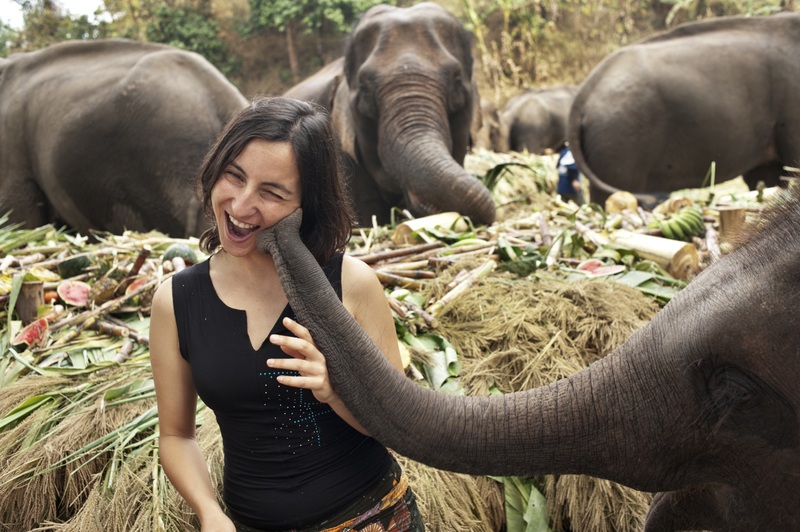 Indigenous to Thailand elephant trekking has long been a favourite pastime of visitors to the country. However, an overwhelming amount of evidence suggest the industry to be harming to elephants and far from an ethical practice. It is now thought the extinction of the Asian elephant is not just prospect but a sad reality. Fortunately, a number of ethical elephant farms have sprung up across the country that invite travellers to interact with the animals spending the day bathing, washing and feeding them. We strongly encourage you to research and seek out ethical groups who have the best interest of the elephant and mahout at heart. This way you still having the opportunity to hang out with a gentle giant. Nestled in the verdant foothills of the North, Thailand’s second biggest city, offers a soulful contrast to the hustle and bustle of Bangkok. 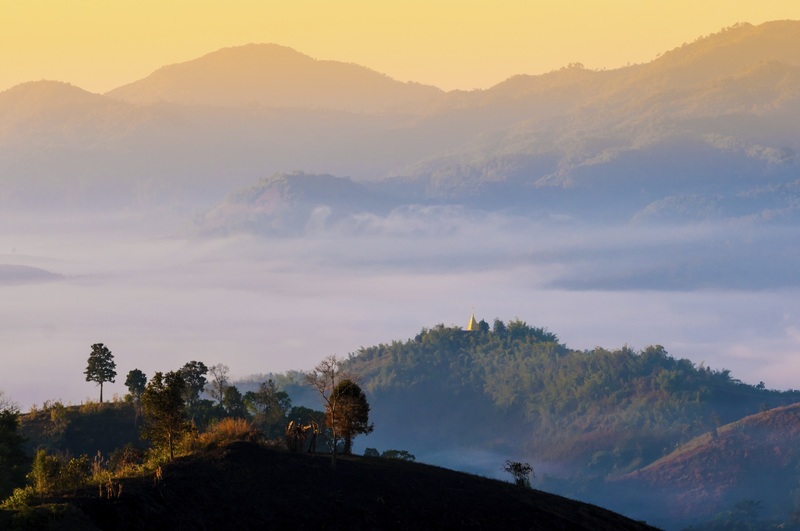 Chiang Mai is a place where the historic and modern coexist in harmony, travellers can enjoy a multi-faceted adventure of culture, cooking, adventure and of course, it wouldn’t be Thailand if there wasn’t some relaxation thrown in for good measure. Add a cultural angle to your Thailand adventure with a visit to UNESCO Sukothai Historical Park situated in the central provinces of Thailand. The first capital of Siam, the park is home to ornate 13th- and 14th-century palaces and temples, and is best explored by bike. 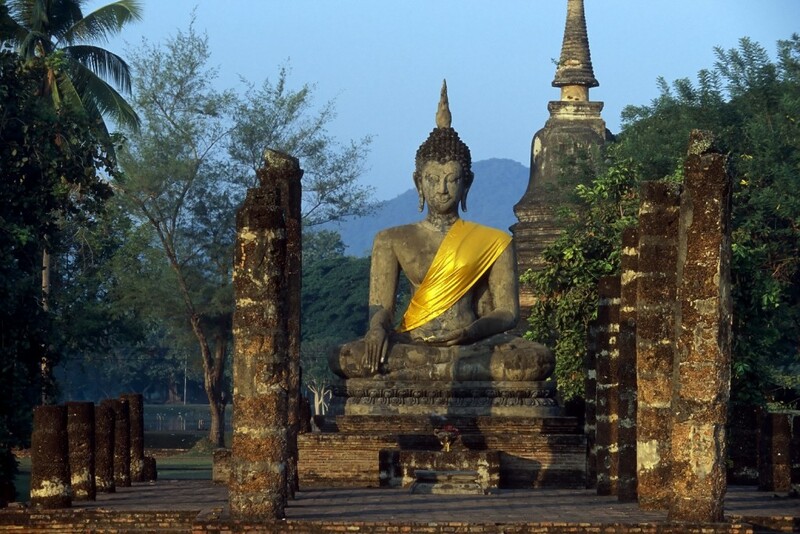 Alternatively, the other former capital, Ayutthaya is easily reached on a day trip from Bangkok. The archaeological site comprises palaces, Buddhist temples and monasteries and is no less spectacular. 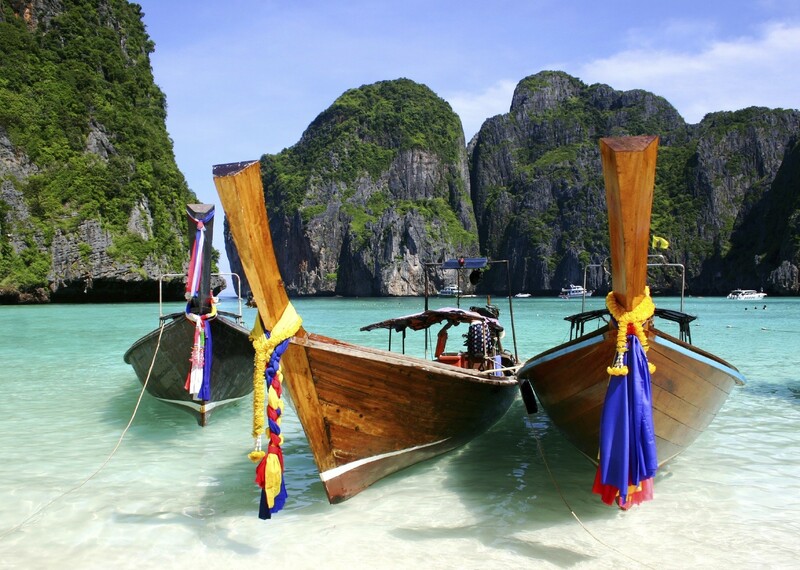 Boasting over 6,000 miles of coast, Thailand’s beaches are as diverse as they are plentiful. Whether you are looking to party until dawn, dive with the exotic marine life or drop out from civilisation; there is a beach with your name on it. But why just visit one? There is ample opportunity to hop on a long tail boat and explore several beaches while on a week’s holiday, even if it’s just on a day trip. Struggling to decide where your next trip will be? Find your dream holiday destination with our inspirational WHERE NEXT FINDER. It’s as simple as adjusting the sliders and discovering destinations worldwide tailored to your requirements. Go on, give it a go!